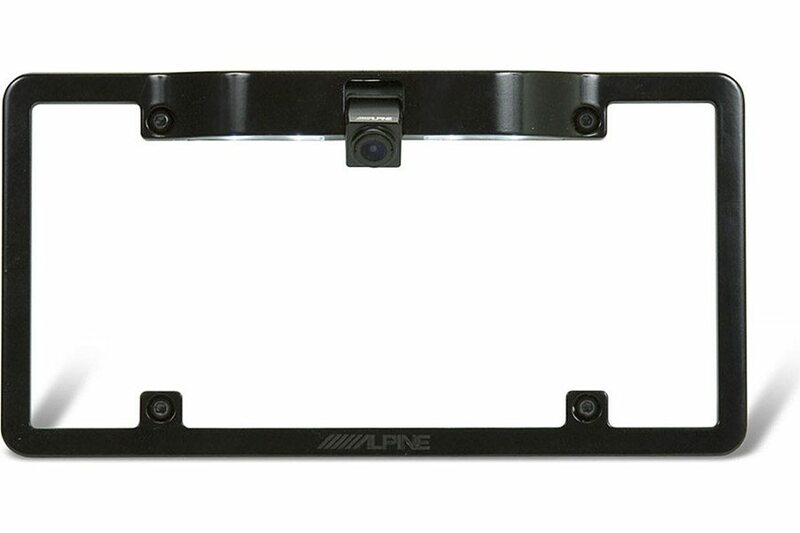 Mount an Alpine rear-view camera on this handy license plate frame and you won’t even know it’s there. The plate will also work with the Alpine HCE-C105, HCE-C107D, HCE-C155, HCE-157D, HCE-C200F, HCE-C200R, HCE-C210RD, HCE-C300R, HCE-305R, HCE-C210RD, HCE-C212F, and HCE-C305R cameras. The durable kit is made from cast metal, and includes LEDs for license plate illumination at night.